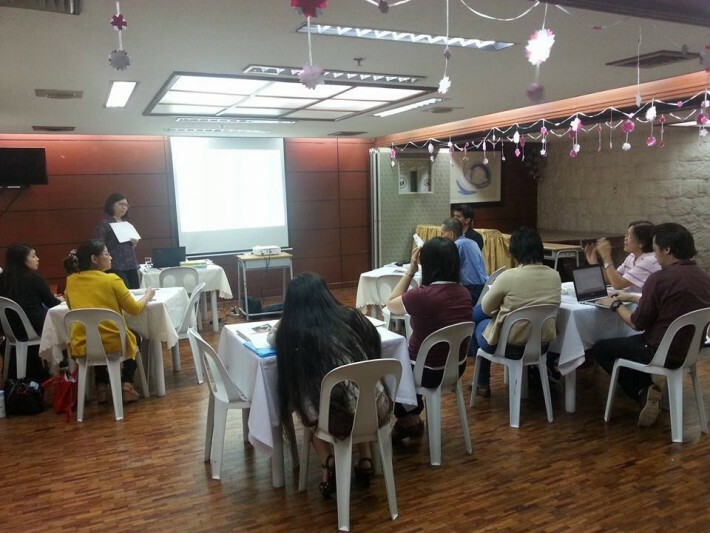 On August 9, 2015, The Nihongo Center Foundation held its first Faculty Development Program (FDP) meeting at its Makati campus. 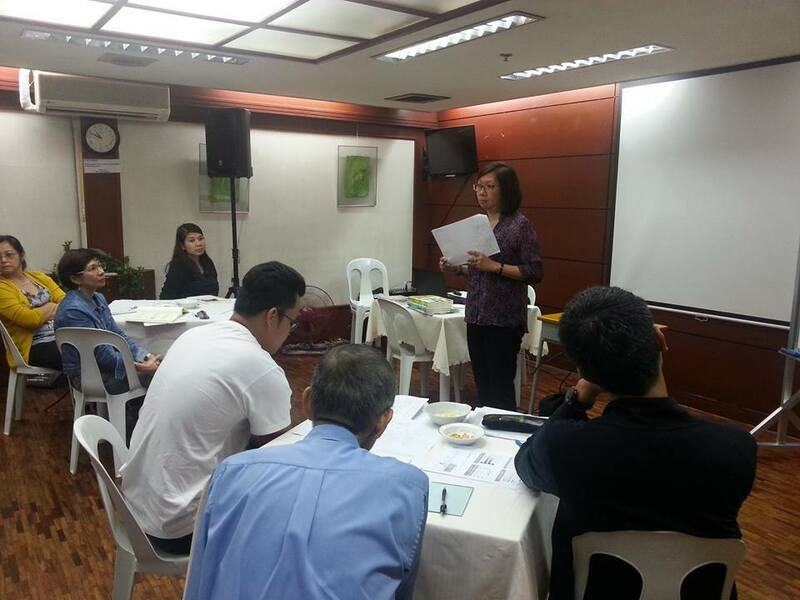 Fast forward to 2017 and the program has not only elevated the teaching skills of individual teachers but has also fostered serendipitous collaboration among faculty members, which ultimately supports the school’s innovative works in developing and improving Nihongo instruction in the Philippines and maintaining its position as the preeminent institution for Japanese Language education for Filipinos. In the following interview, FDP program manager, Ms. Carmencita K.C. Biscarra or “Keli Sensei” as she is fondly referred to at NCF, talks more about the background of the program and her insights into being a Filipino Nihongo teacher. Q: Why was the FDP program started? KS: Management felt that NCF/PIJLC teachers needed to upgrade their teaching skills to meet the increasing demand for Nihongo classes by various industries. Q: What are the specific goals of the program? KS: Aside from providing training for teachers to expand their teaching/career skills, the program also aims to develop standard teaching techniques so that we will be able to provide quality Nihongo courses in all classes. Q: How do you conduct the training sessions/meetings (i.e. training flow, regular activities, materials used in the training, etc.)? KS: The program for each meeting includes a study session regarding Nihongo Education—most often we would have workshops and sharing to reflect on our teaching methods and learn from other teachers’ techniques. New teaching techniques are introduced by having the faculty members experience these techniques first hand (like Shadowing). Sometimes teachers are requested to handle a session by sharing what he/she considers a useful teaching technique. There is also an update every meeting regarding admin policies and reports on activities related to the school, like when we attended the ASCOJA symposium in Bangkok last year, or when we visited schools and universities in Japan to look for possibilities for exchange programs. Q: What significant accomplishments have happened since NCF started the program? KS: We’ve been able to develop our own rigid teacher-training program, which was implemented for the training of our four new teachers who have graduated and are now actively teaching at the school. In the teacher-training program, aspiring Nihongo teachers are asked to attend workshops to learn the basic process in teaching a lesson, and then write lesson plans for the first course that they will be handling (Basic Japanese 1). They are then required to do class observations for an entire Basic Japanese 1 course, each time writing a reflection on the techniques observed and comparing one’s lesson plan with the class flow. Discussions regarding this reflection sheet would then be held with me. At the end of this class observation phase of the training, the trainees move on to handle their own Basic Japanese 1 class, where I would be observing each session. At the end of every class, we hold a discussion to assess how the class went and share points for improvement. Q: Other thoughts about the FDP and teacher-training program of NCF? KS: The FDP has been an avenue for us teachers to improve our skills and develop camaraderie among faculty members—experienced teachers and newcomers alike. Through the program, we have also become more involved in school matters, which is also beneficial to NCF. The frequency of the faculty meetings resulted in increased input of ideas from the teachers with regards to school matters and an overhaul of the courses/materials of the school. For the teacher-training program, it’s done one-on-one, so it takes a lot of time and dedication both on the part of the trainee and trainer. 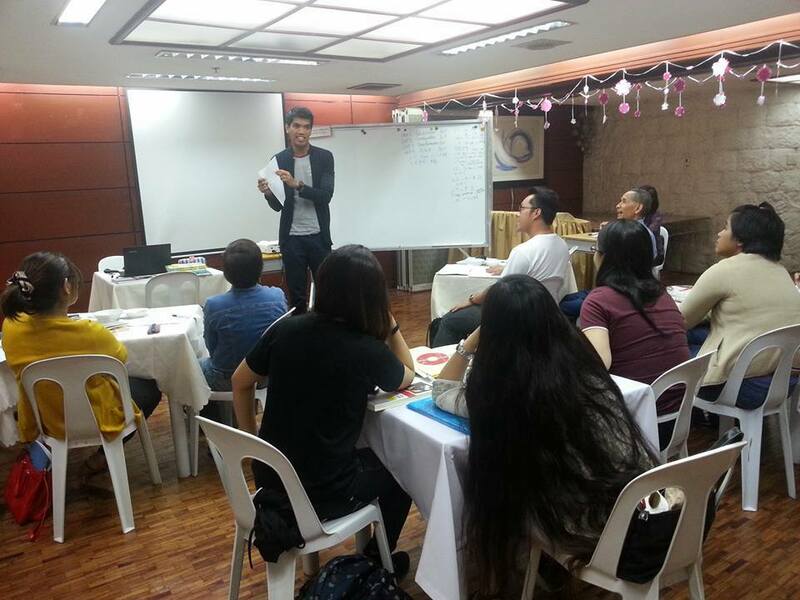 In that sense, you can see that our training is designed for aspiring teachers who really have a heart for teaching and can see themselves working as a Nihongo teacher for years to come. Feedback about the FDP has been very positive with the participants concurring that the regular meetings and sharing have helped them evaluate their strengths and weaknesses and find ways to improve their teaching skills. They also believe that it’s high time to have a professional development program like the FDP and standardize teaching techniques so that they can deliver quality lessons each time to their students. *N3 passers may be considered, provided that the individual continues to take JLPT N2 regularly until he/she passes N2. FDP meetings are done quarterly on a Sunday morning loosely set on February, May, August, and November (i.e. four times a year). The alternating venues are NCF Makati and Manila campuses. 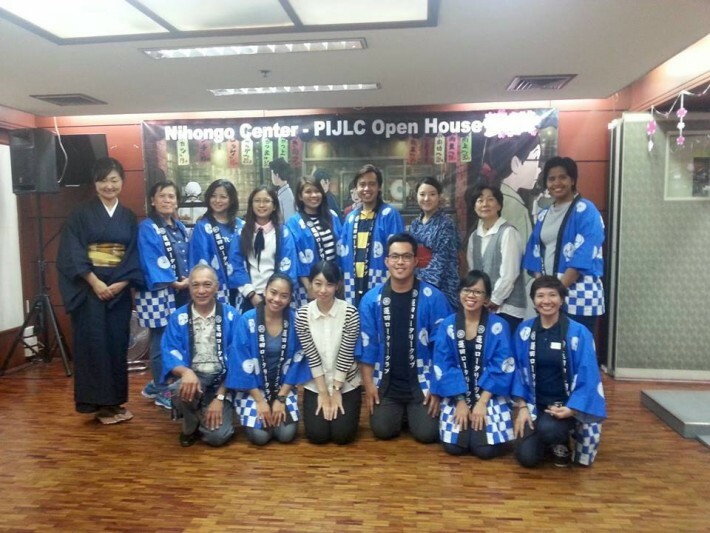 Fun cultural activities and free Japanese language lessons welcomed visitors to this year’s Nihongo Center Foundation (NCF) Open House. Held last October 8 from 9 a.m. to 4:30 p.m. at the Makati Campus, NCF students and guests participated and enjoyed activities like karaoke, cosplay, origami, and even got a chance to show off their drawing skills through the event’s annual drawing contest. After the morning registration for visitors, the Open House kicked-off with the Kana Writing contest where participants displayed their writing skills in Hiragana. It was followed by the open-theme Drawing contest where the contestants’ artworks were judged based on neatness and the creative use of colors and shades. Also a major yearly activity in the NCF Open House was the Cosplay contest where participants dressed up in elaborate costumes and detailed make-up based on different popular Anime and video game characters. Pictures of the contestants were taken in the morning and posted for voting. Attendees of the Open House all had a chance to vote for their favorite cosplayer and winners were announced at the end of the day. Aside from the cultural activities and contests, there were also games and booths from NCF’s partners in spreading Japanese Language and Culture like Heart International Corporation, Jellyfish Education Consultancy, Chikyujin, and Anizone. All visitors were also invited to posts their photos enjoying the activities on their Facebook account. Guests who got the most number of likes for their picture took home some cool prizes and gift certificates courtesy of NCF, The Philippine Institute of Japanese Language and Culture (PIJLC), and Kake Educational Institution. Kirigami – a variation of Origami where paper is folded and then cut to create different paper artworks. Furoshiki – traditional Japanese cloth used for wrapping gifts and other goods. For the list of winners and event photos, please refer to the links below.